Travel, discovery, self-development. A blog about global exploration and the tips you'll need to do it yourself! I grew up in a small town near Burlington, VT. The Green Mountains have always been kind to me. They have taken me on incredible adventures to gorgeous hilltop vistas and snowy peaks. I've always enjoyed my time spent with nature, but one of my best hikes was the time I climbed Mt. Mansfield. I remember it like yesterday. It was a warm sunny day and my friend Keith and I were strapping up for the hike of a lifetime. We packed clothes, cooking utensils, food, a tent, sleeping bags and everything else one would typically pack for a camping adventure. As soon as we began the 2.8-mile hike I could tell I packed WAY too much. My bag must've weighed at least 30lb, and for an amateur hiker that was quite a lot, especially for the steepness of the trail. The ancient world was a time of great artistic illustriousness. Kings, queens, and religious leaders set out their vision for incredible empires. Armies, financial powers and cities were constructed to stand the test of time and the ones that did are seen today as wondrous treasures that add to the unique cultures in which they came from. The buildings that were important to the leaders of their time were built with passion and artistic flair. The incredible talent used in the creation of these architectural wonders was hard to come by so they made sure these buildings were built to last, and because of this, we still have many of those magnificent buildings today. Morocco is a gold mine for beautiful architectural pieces. If you love the sacred feel of ancient buildings, visual history, or just love sucking on eye candy, you'd better make room for Morocco on your bucket list! Madagascar is a beautiful island just off the coast of Mozambique. It's tropical forests and sandy shores make it a popular destination for tourists and anyone seeking adventure. Whether you're just passing through the area or planning a week long stay, there's a little something for everyone here. Madagascar has an odd assortment of wildlife and landscape.What you would expect to find in the rest of South East Africa is replaced with animals and plants you would expect to find only in South American rainforests, some of which include very predatory creatures. But if you can get past the greedy lemur thieves and the potentially deadly spider bites, you'll see that Madagascar has quite a lot of natural beauty in its mostly forested lands. The blogger community is one that I find myself constantly making new friends in. There's just something about like-minded people with a passion for writing that makes you fall in love. They're the one's that inspire me to write after a long day or to keep exploring the world after my feet start to hurt and I'm very grateful for that. 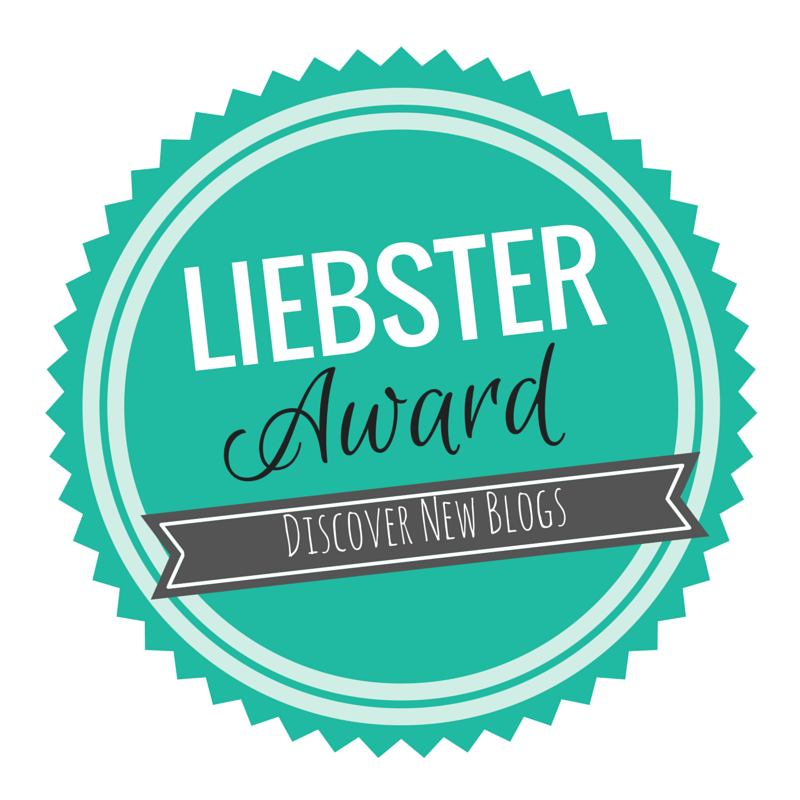 As the new year sets into motion the infamous Liebster Award is handed out to recognized travel bloggers. It is an award created to motivate authors to keep writing awesome content and to let the reader know a little bit more about the person behind the blog. I'm honored to accept this award today and I'd like to thank MikaylaJaneTravels for the nomination. Check out her blog, it's really good stuff! The travel blogger lifestyle can be a hard path to follow. It's definitely not for everyone, but for some people, it's just meant to be. My good friends over at Love2LiveLive2Travel are a perfect example of meant-to-be's. Shauna and Danny is the couple behind the magic of Love2LiveLive2Travel. They have traveled all over to places such as Mallorca, Tenerife, and many others! I have found myself getting antsy with travelers anxiety after reading empowering lines like the ones in Just A Thought. Their soothing words make your heart sing and your passport eager to be stamped! If picture posts are more your style be sure to check out their post Gallery Of A Winter To Remember to indulge in a visual feast! Check out their blog and discover the world of Shauna and Danny! Have you ever had a dream that you were trapped on top of a huge mountain with no food or water, doomed to die a cold miserable death? No? Am I the only one? I'm sure I'm not alone here, there must be someone else... oh I know; Mt Everest hikers! Okay, I know what your thinking; only mad men would dream about dying at the top of Mt. Everest and yet, some of the most passionate hikers in the world wouldn't want to end their journey any other way. I mean they probably wouldn't want the whole suffering part and if they're still pretty young with a long life ahead of them they'd probably want to live a couple more years but for experienced adventurers with an ever dwindling ability to physically hike, it would be more than an honor to be taken by the pinnacle of trekking experiences that is the summit of Mt. Everest. Mt. Everest is known as the tallest mountain in the world, towering a massive 29,035 ft high, more than ten times the height of the tallest building in the world. To scale this abnormal giant is to walk the tightrope of life and death. Either you perish along with the other 200 fallen heros or you survive the treacherous unknown and be praised as a trekking god (although probably with a pretty scarred mind). A couple months ago, in the summer of 2016, I lived in an Egalitarian, anarchist commune in the Catskills of Southern New York. Although it was short-lived, the ideology and wisdom I gained stuck with me and has had a lasting effect on my life, undermining my personal insecurities as well as realizing the diversity of lifestyles that surrounds us to learning practical skills such as farming, communal planning, construction and much more. My short time at East Brook Farm has been one of the most influential experiences I've ever had. Let me set the scene for you. It was mid-July 2016 and I had just graduated from high school. Naturally, I was excited but at the same time nervous, for I had no plan for the future set in mind yet. Before I graduated I was working at a ski resort about 30 minutes away from my hometown of Johnson, Vermont. It was a mellow gig. I drove a truck around all day listening to documentaries on my phone while occasionally taking calls to pick up cleaners or bring towels to guests. Easy right? Yes. Way too easy. In fact, I was bored out of my mind most of the time, but it was work, work that paid me $10/hour to do nothing so I stuck with it.